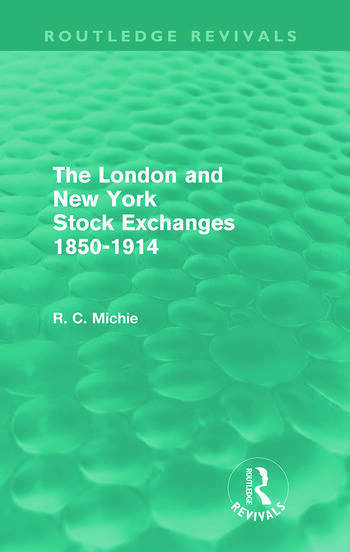 First published in 1987, this is a reissue of the first book to offer a detailed comparison of two of the foremost stock exchanges in world before 1914. It is not only an exercise in comparative economic history but it also relates these institutions to wider world markets, thereby clarifying their functions and how they related to the general financial and economic framework. Students and researchers in economic and social history will welcome the reissue of this groundbreaking account of two historically important institutions in a crucial period of their development. Financial practitioners and others will also find much of interest here, in terms of both fascinating history and of insights into an era when a global market was rapidly evolving largely free of the twentieth-century distortions and hindrances introduced by wars, interventionist governments and exchange controls.